Hot News 24POLITCS WORLDRussian Tanks Get Close To The Border Of Ukraine, The Risk Of War Is Imminent? 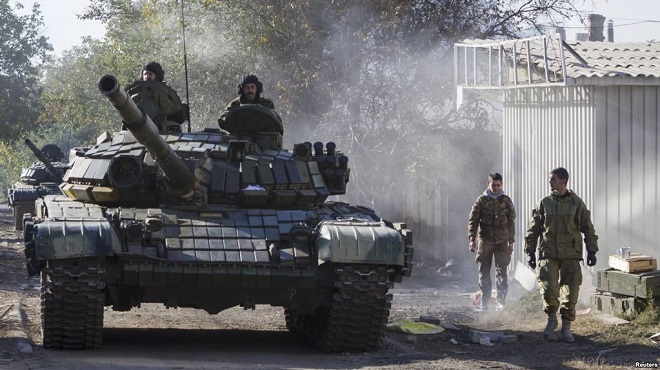 Russian Tanks Get Close To The Border Of Ukraine, The Risk Of War Is Imminent? Petro Poroshenko, the President of Ukraine, recently published photographs which is supposed that a mass of Russian tanks presents near the border of Ukraine, near the place where Russia stockpiled ammunition and weapons. “Russian tanks are only about 17km from the border of Ukraine. This has happened since September, October and now”. This is the newest disclosure of Porshenko, in the context that Ukraine calls for NATO to support in front of the possibility that “the Russian opens a comprehensive invasion”. The risk of war became ever more apparent, when Russia seized three ships and 23 sailors Ukraine in the Kerch Strait. The Russian side confirmed that they did nothing wrong and Ukrainian is the side having the aggression action. Mr Poroshenko said: “For Russian President Vladimir Putin, there is no red limit to this. This is the reason why we need to be closer together, not just the leaders, but also the people of Europe, USA, Canada, Australia, Japan and the whole world”. Ukraine is currently imposing the martial law, put the whole army in the state of combat readiness. In the latest developments, Mr. Putin has a plan to meet the President of USA Donald Trump at the G20 Summit Conference in Argentina, but the White House has cancelled the meeting because the tension escalated. The S-400 missile is ready to defend the airspace of Crimea. The Crimea Peninsula annexed to Russia Federation in 2014, which led to the Russian embargo of the United States of America and Europe. Since then, Russia has acted toughly in the Black Sea, despite the presence of Western ships. Russia also built a large bridge connecting the Crimea Peninsula and Russian territory, through the Strait of Kerch. 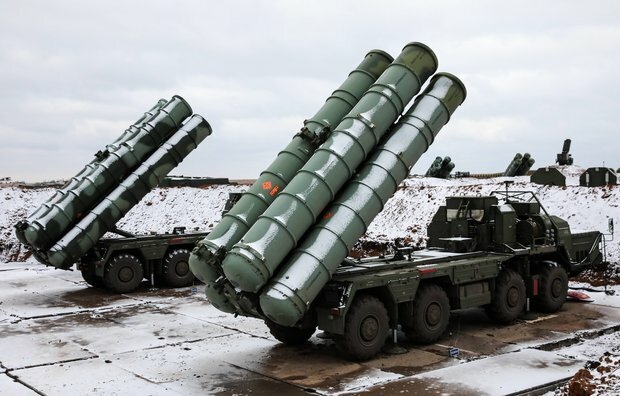 The air defense consortium S-400 and missile Bal were brought to the Crimea Peninsula by Russia. This is the clearly signal indicating that thay are ready to deal with any threat.